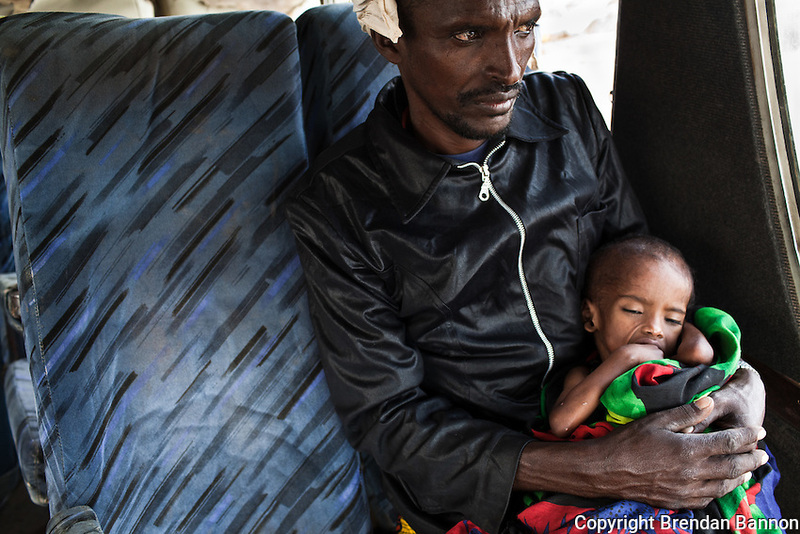 A father craddles his severely malnourished child on a bus provided by UNHCR and IOM to move a group of stranded vulnerable refugees from Hamey, Kenya near the Somalia border refugee camps near Dadaab, Kenya. Most refugees make the journey from the border to the camps by foot at great peril. The roads are lined with bandits and many women report being raped during the trek.